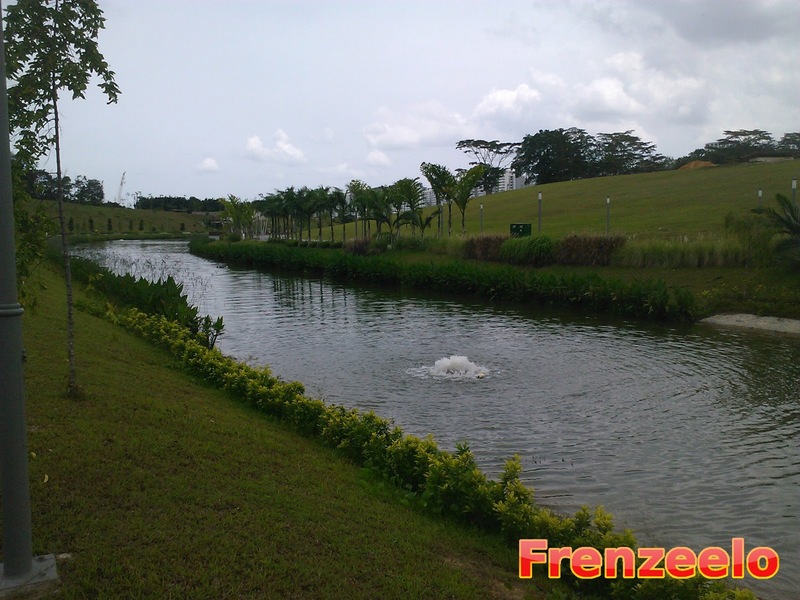 When you visit Punggol, what is the first thing that comes into your mind? Forested areas? 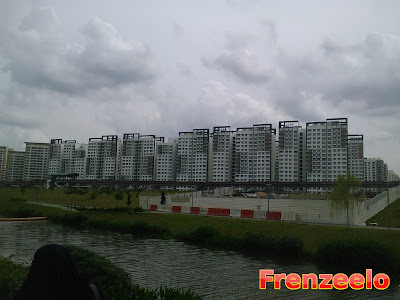 Lots of new HDB flats? Lots of LRT tracks? 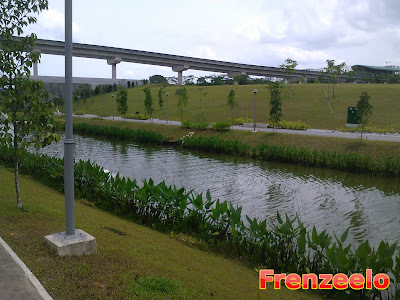 In today's article, I am going to introduce to you the new Punggol Waterway also known as My Waterway @ Punggol which is a man made waterway that was just opened a few months ago in October 2011. The waterway contains several attractions and bridges along with shelters and walking trails for visitors to make use of and enjoy the wonderful sights and sounds of the place. 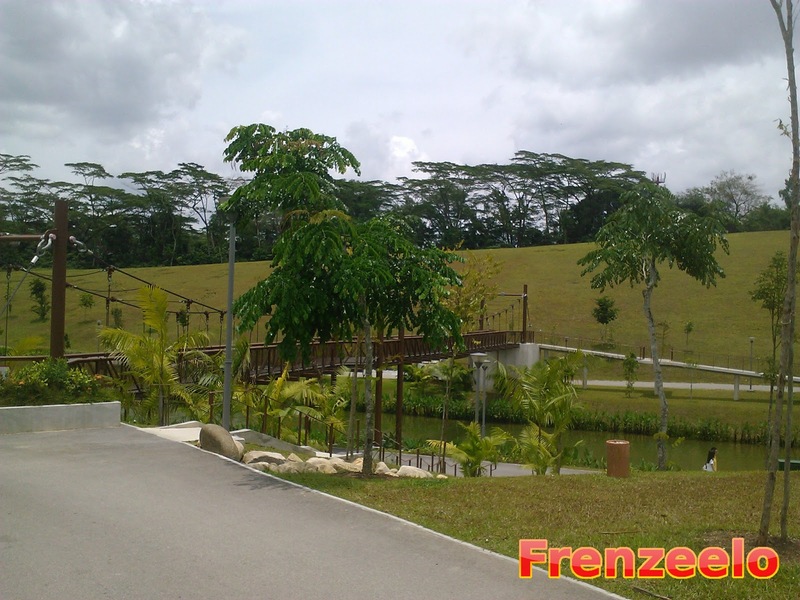 This is a great place to take a walk or for jogging while soaking in the beautiful scenery. Getting to Punggol Waterway was actually quite difficult. Punggol is one of three Singapore towns to use an LRT system for public transport. 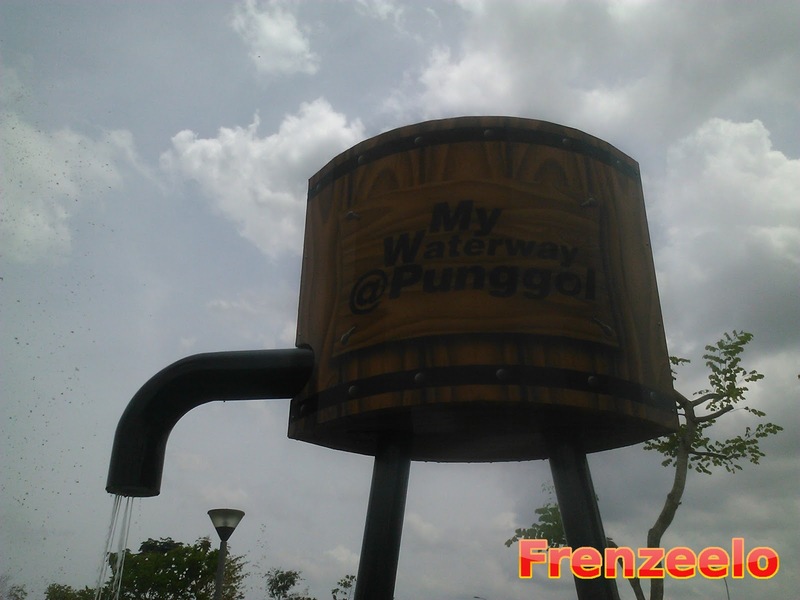 Yet, Punggol Waterway isn't that accessible with the Punggol LRT Line. 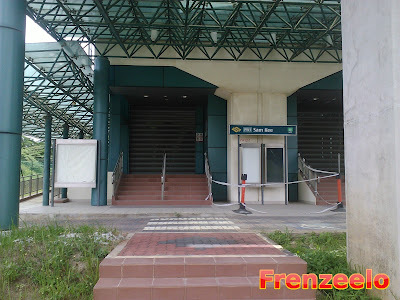 However, while I was approaching the Waterway, I came across this unopened LRT station which is Sam Kee LRT Station on the Punggol West Loop. 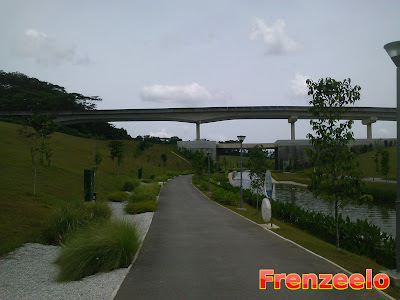 Currently, only the Punggol East Loop is fully opened and the West Loop remained closed because there are still very little developments around the area. The West Loop was already completed around the year 2001 or 2002 like its Eastern cousin but it still is unoperational for now. I do hope that they'll open the West Loop soon in about a few years time. According to the HDB's website, there will actually be quite a lot of HDB flats that will be located near the unopened stations and the Waterway park. 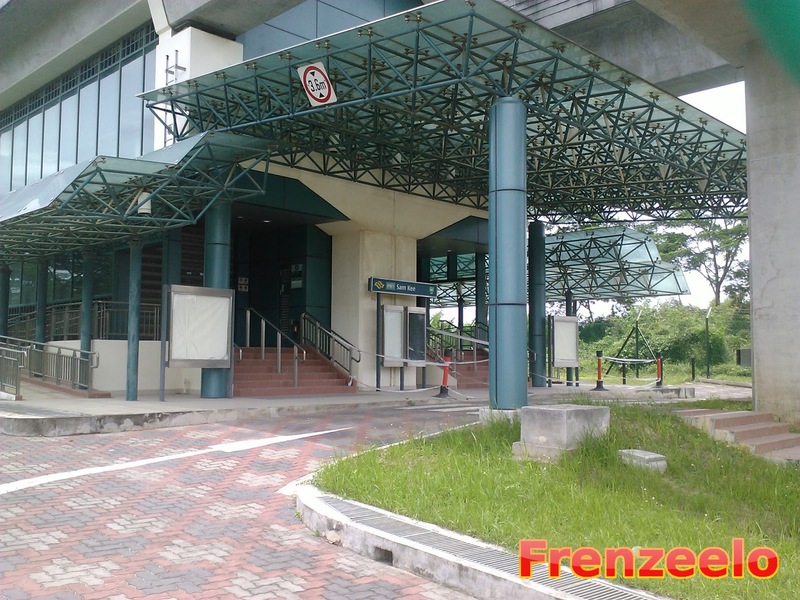 The residents of those future HDB flats can then make good use of the West Loop to get to Punggol MRT Station and other stations within Singapore's rail network. 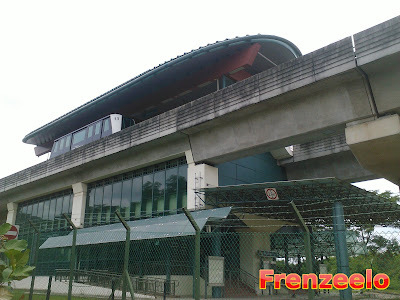 As you can see, the LRT station is actually quite interesting and the layout looks slightly different than typical LRT stations in Punggol. Plus, this station is located right in front of the Waterway and it's one station after Punggol Station. 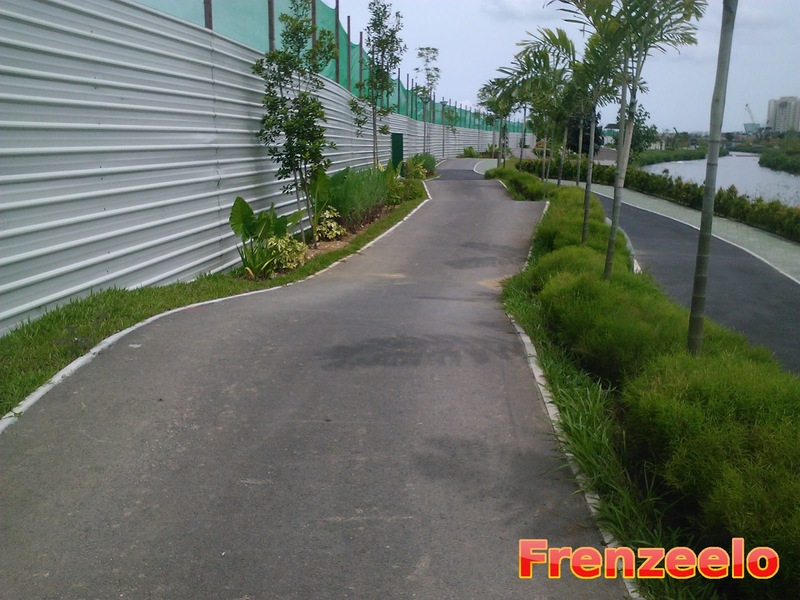 For now though, the only way to get there is to walk from Punggol Station to the Waterway via this road called Sentul Crescent. 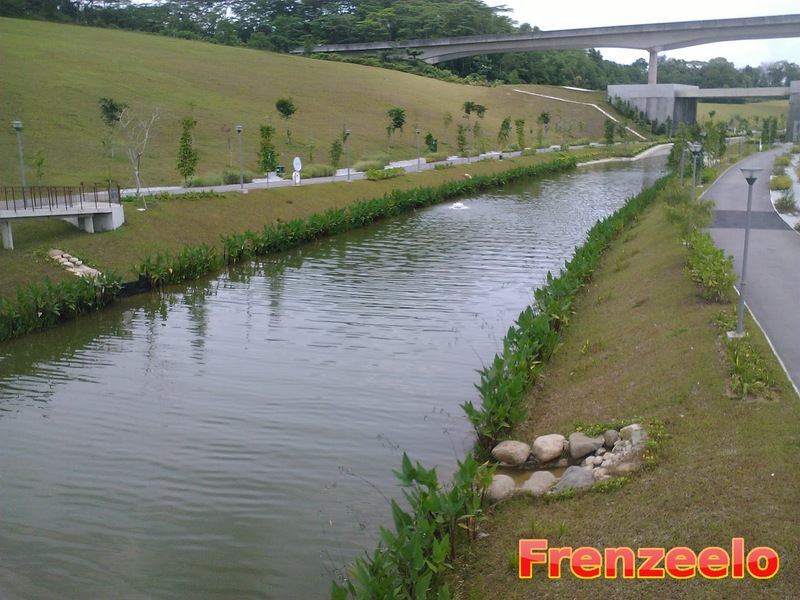 The Waterway park is full of greenery although the park was actually man-made. It's nice to go here on a hot and sunny day and if it rains, there are several shelters along the park. Something that I spotted at the Waterway park was this drain that doesn't look like a drain at all. 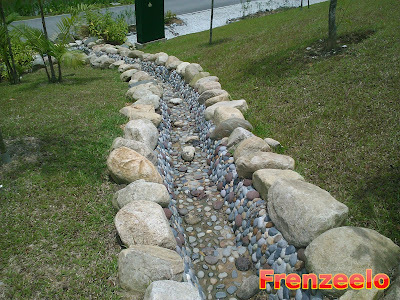 It's made of stones and pebbles and with big rocks planted at the sides to give it a more natural appearance. My friend even mistaken this with a staircase when it fact, a real staircase was just beside it. Unlike many public parks, there's a water play area here specifically targeted to children and just about anybody who wants to play with water. Most of the water shot out of the ground and from the water cannons that are adjustable so you can shoot the heck out of your friends and get them wet. 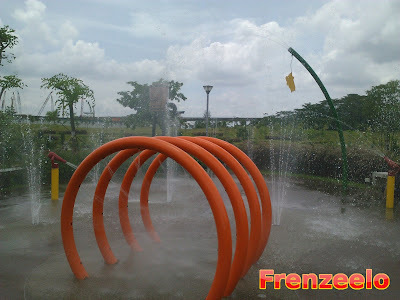 Many children can be seen playing around this water play area and they had fun. In fact, if you come here, I challenge you to run through this orange ring thingy in the middle which will spray a lot of water on you. Behind this water play area, there are toilets so after playing around the play area, you can easily change to dry clothing. A vending machine is also available if you want to get yourself a drink because the place can get rather hot and you may get rather thirsty. 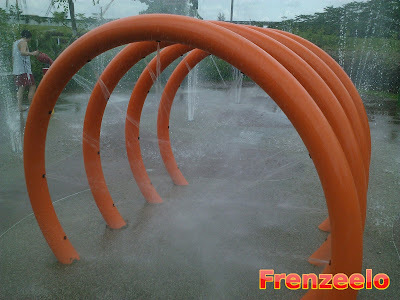 Don't worry though, the water play area is the perfect place to go to if you want to keep cool from Singapore's hot weather. 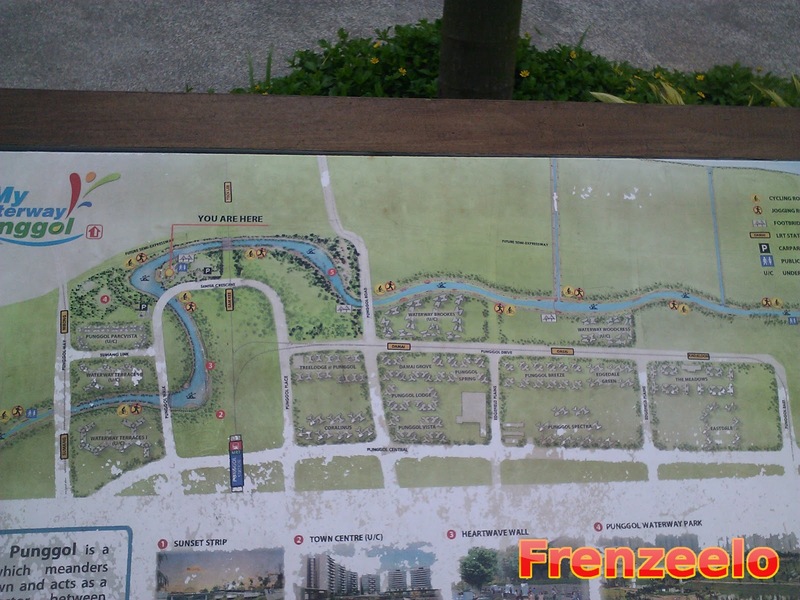 Here's a map of the Punggol Waterway area. I'm not so sure where you can get a hard copy of the map and I can't really find the full map online as it doesn't have a specific website. I used my phone to snap a picture of the map so that whenever I feel like I'm lost, I just refer to my phone for the full map. However, I can't really capture the whole map because if I want to capture the whole map, it'll get smaller and it'll be hard to see. This is the best I can capture though. The map also listed symbols of bridges and shelters just in case if you want to take a rest or want to cross across the water safely. There were also symbols that represent LRT stations so if you want to get home, just find the nearest operational LRT station. No buses pass by the area though unfortunately. This is an example of a bridge that can be found at the Waterway. 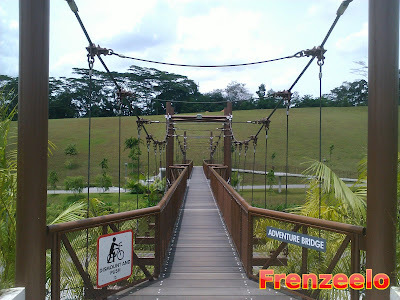 It's called the Adventure Bridge and made to look like a rope bridge judging from the ropes that dangle along the side. 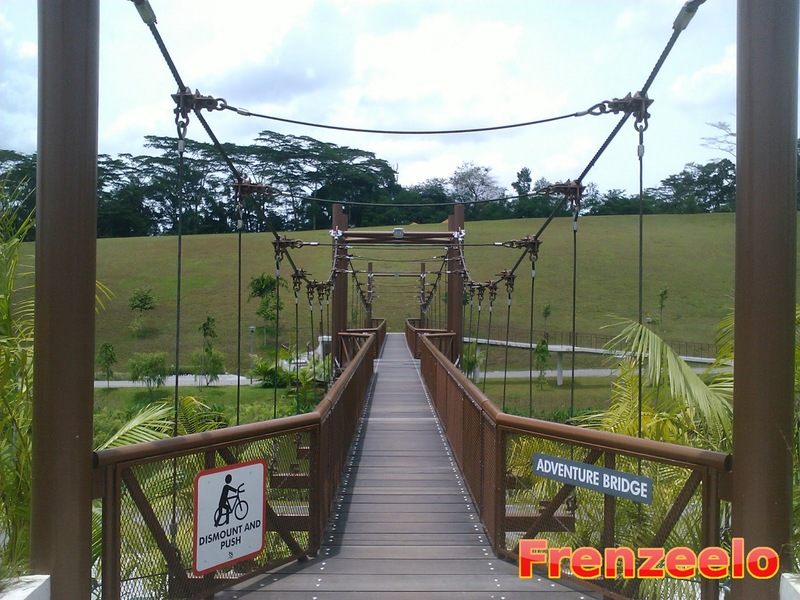 Don't worry if you're afraid of heights because this bridge is not that tall and it doesn't move from side to side if you are going to get across. There are more bridges and each of them have unique appearances. 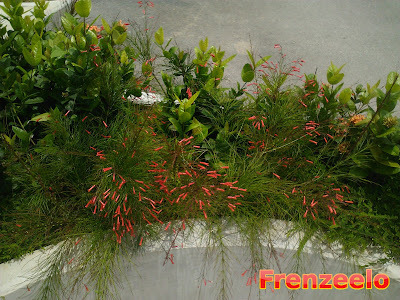 Here's some flowers and greenery that's found at the park itself. Totally complements the quiet and peaceful atmosphere of the park. There are trails at both sides of the park so you can do your cycling, walking or jogging at any of these two trails. 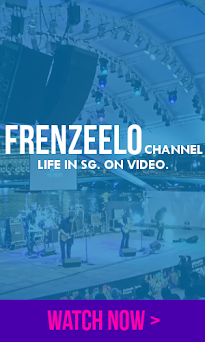 Since the bridges are conveniently located within a few metres from each other, getting from one side to another isn't really that much of a hassle. Some more pictures of the Waterway park. The scenery was totally beautiful and I can't stop taking a lot of photos of the water, the trees and the flowers that line along the waters. 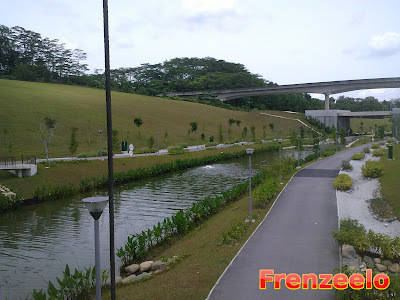 Really a sight that you can't really see at any other part of Singapore. Also, ten points if you can spot the Punggol West LRT Line above the park. This is interesting. I spotted this signboard that has been put up by the PUB also known as Public Utilities Board which takes care of Singapore's water supply. Instead of those boring and often ignored 'NO' signboards, the PUB decided to give visitors a kind reminder to not misuse the facilities and to not litter. 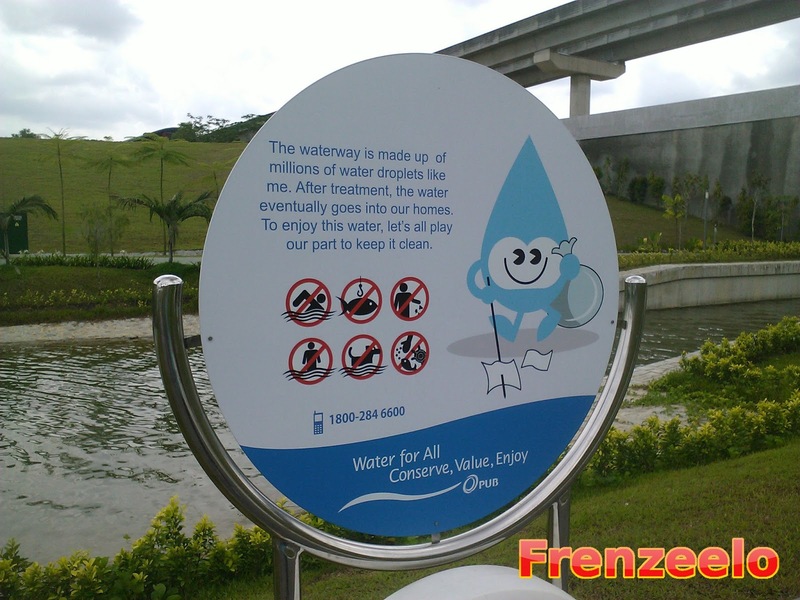 As stated on the signboard, the water that's in the Waterway will be collected and used for human consumption. Not literally though. Just like freshwater reservoirs, the water collected will be specially filtered to remove impurities and for safe human consumption. Still better than the 'NO' signboards. There's also this floating platform thing (I was sitting on it so you can't see it) that is accessible to the public. Be very careful though because there's no protection at this floating platform. If you want to sit down, make sure you sit down and cross your legs and don't let it dangle in the air because you can't otherwise your whole leg will enter the water. This is a rather unique looking shelter which looks like an old village. 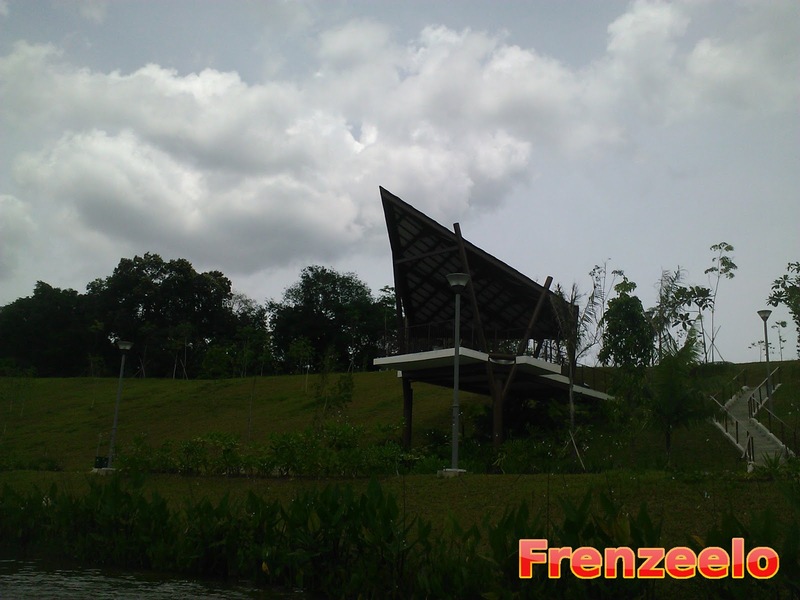 I like how the design of the shelter complements the nature and greenery in the background. The trees look like they've just been grown which means that the park is relatively in which it is. 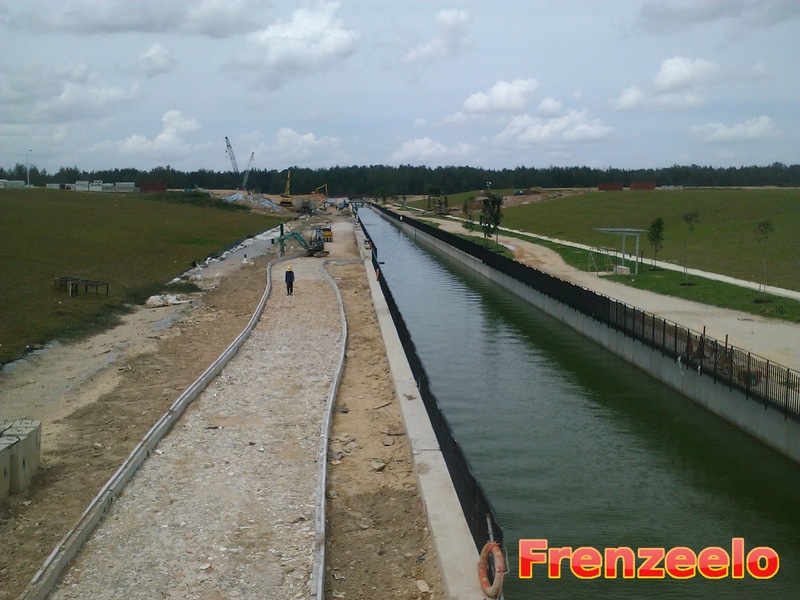 This is also another bridge which makes it easier for visitors to cross the waterway to the other side. Look at the design. 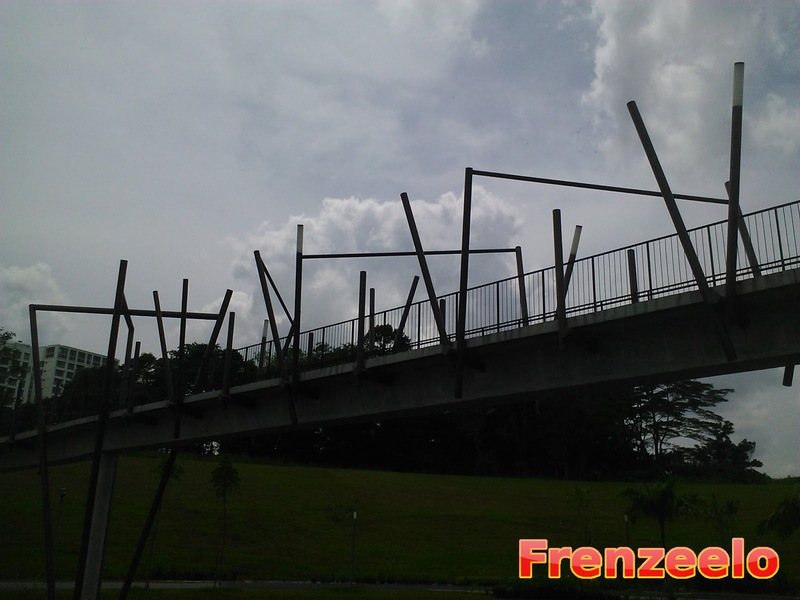 It's really unique and you can't find any bridge with this awesome looking design elsewhere in Singapore. 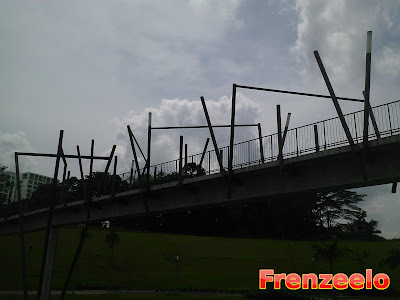 I wish more pedestrian bridges in Singapore will look nice and unique although aesthetics don't really matter if it's a pedestrian bridge. While walking along the trail, I noticed this cool looking bench that's made out of concrete and painted in beige. 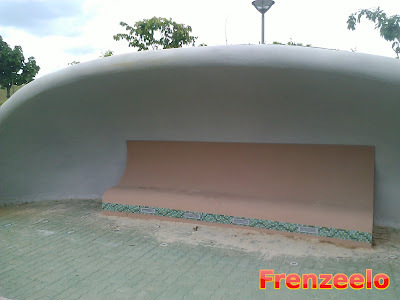 It has this nice dome shape that keeps people from the rain and the hot sun. Behind each of this dome shaped shelter, there's this slope which goes up and down and up and down again while the one beside it is levelled. I don't know why they did this though and I'm not really sure which one is more appropriate for cyclists and which one is appropriate for regular walking people. Unlike the trails at Park Connectors and East Coast Park, they didn't mark it clearly which one's for who. Anyway, it's quite fun to walk up and down the slopey trail. In a distance, there are newly built HDB flats that were opened up a few years back and also Oasis LRT Station. These residents are very fortunate to live near the Waterway park and an LRT station right at their doorstep. 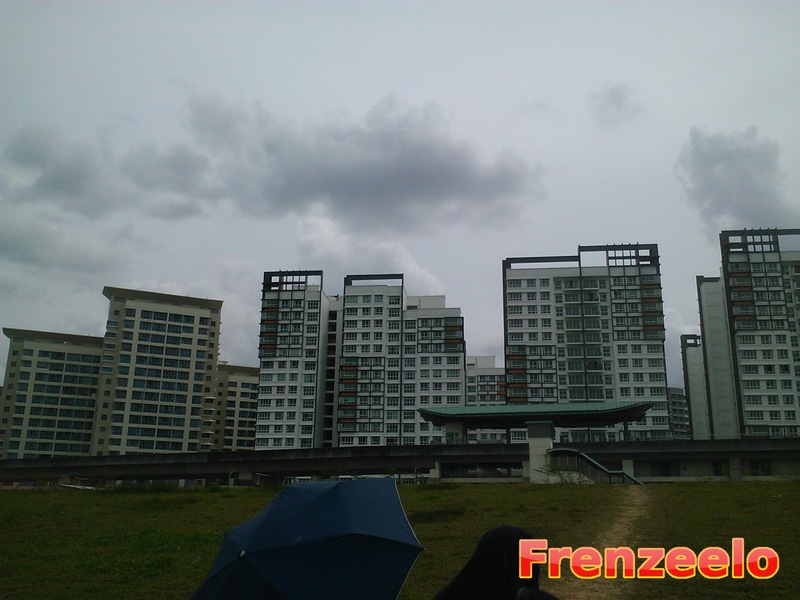 According to the HDB, there will be new flats opposite the flats that you see above which is just right in front of the Waterway Park. While crossing the bridge to get to the LRT station, I spotted this part of the park and it seem to look like there's going to be separate pathways for joggers and cyclists. Somehow, this looks similar to a Park Connector. I'm not so sure though but I really do think that it's a future Park Connector. 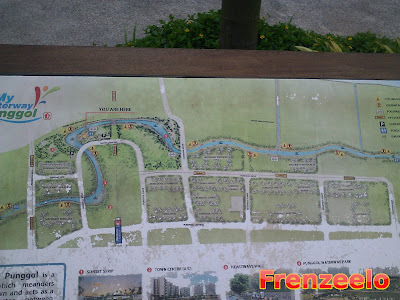 I believe it'll lead to Punggol Beach which is nearby. Can't wait for it to open and it will totally benefit residents living around the area. All in all, Punggol Waterway is a nice place to go to for a relaxing walk and for some peace. 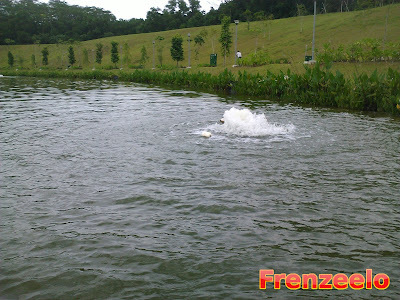 The water play area is useful for those who want to cool themselves down from Singapore's hot weather. There are no buses and not really a lot of vehicles passing by the area so this is really a nice and peaceful place to get away from stress. 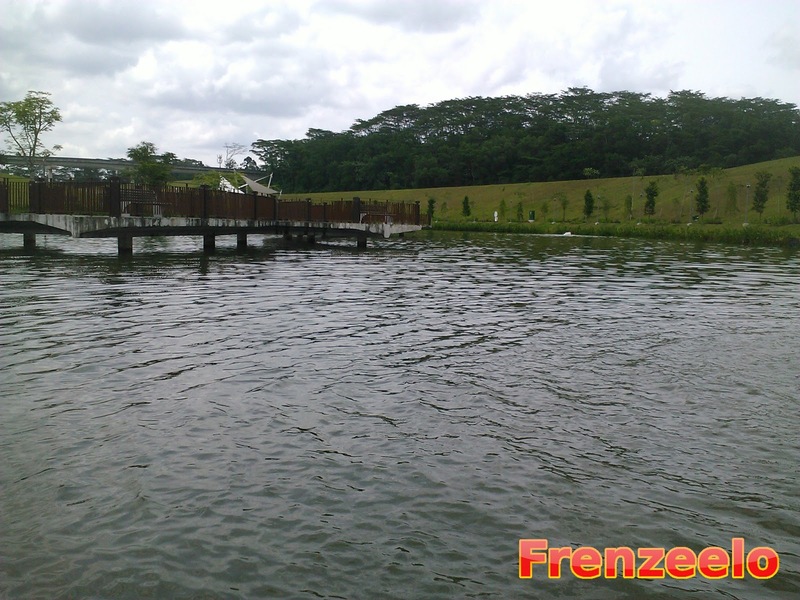 If you live in Punggol, you are really really extremely lucky to get to live near the Waterway. I do recommend you to visit the place on weekend mornings and maybe have a picnic or go for some kite flying as it's quite a windy place with lots of open spaces and interesting greenery.